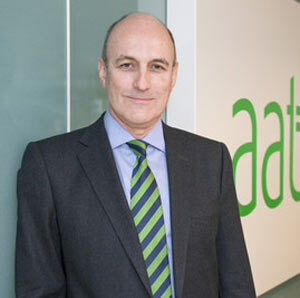 Mark Farrar joined the Association of Accounting Technicians (AAT) as the new Chief Executive on 31 March. With over 130,000 members, AAT is the UK’s leading qualifications and membership body for accounting technicians. Mark will be heading the organisation after the previous CEO, Jane Scott Paul, retired at the end of last month. Prior to AAT, Mark Farrar was Chief Executive of CITB, the Industry Training Board for the construction industry in the UK. After doing a degree in Oceanography and spending time in the Royal Navy, Mark retrained as a Chartered Accountant with Deloitte, Haskins and Sells working for shipbuilding and manufacturing clients in the 80’s, before moving into the Financial Service sector. Following senior roles with Barclays Bank and Norwich Union, Mark moved into the public sector and joined Cefas, a Government-owned marine science and environmental research body. At the time he started at Cefas, the organisation was facing considerable financial and strategic pressures and Mark helped to restructure the business following promotion to Chief Executive. Mark has also been a Board Member of WISE (Women into Science, Engineering and Construction), a Trustee of BRE (the Building Research Establishment) and is currently on the board of the government’s Skills Funding Agency where he is also Chairman of the audit committee.